This photo was taken on May 4 by NASA's Aqua satellite. Photo by NASA. 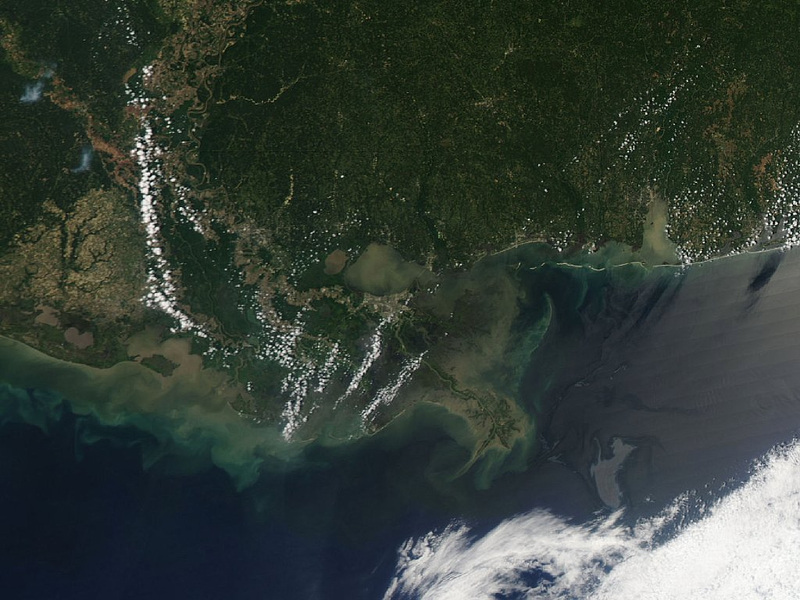 The massive oil spill in the Gulf of Mexico has certainly been in the news. As is often the case, it’s hard to appreciate the magnitude of the issue without a really good view. Enter NASA, which has been snapping photos from its satellites and posting them on its website. If you have oil on the mind, here’s a link to a recent post about how mass transit produces far less greenhouse gases than someone who is driving alone and here’s another link with government charts showing how dominant petroleum is as a fuel source in transportation in the U.S.